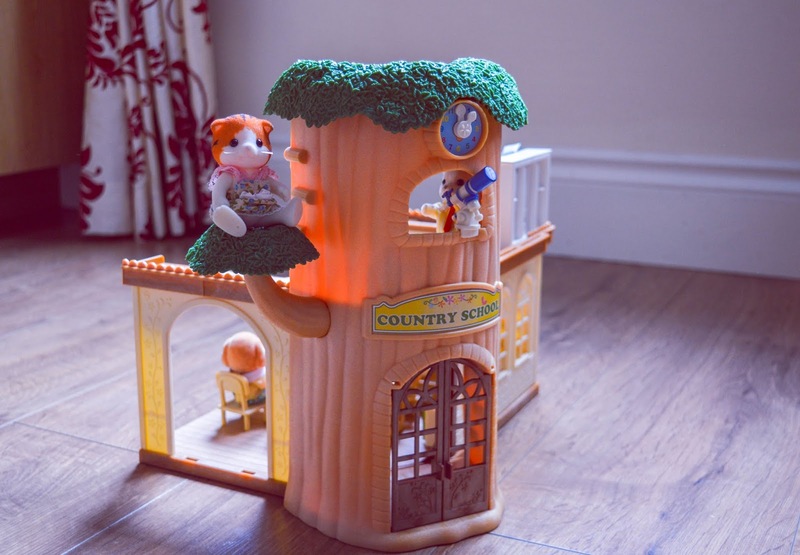 *We were sent the Sylvanian Families Country Tree School for the purposes of this feature, however, as always, all thoughts and opinions expressed are 100% my own. Tyler absolutely loves Sylvanian Families and in his five and half short years he's amassed quite a collection! 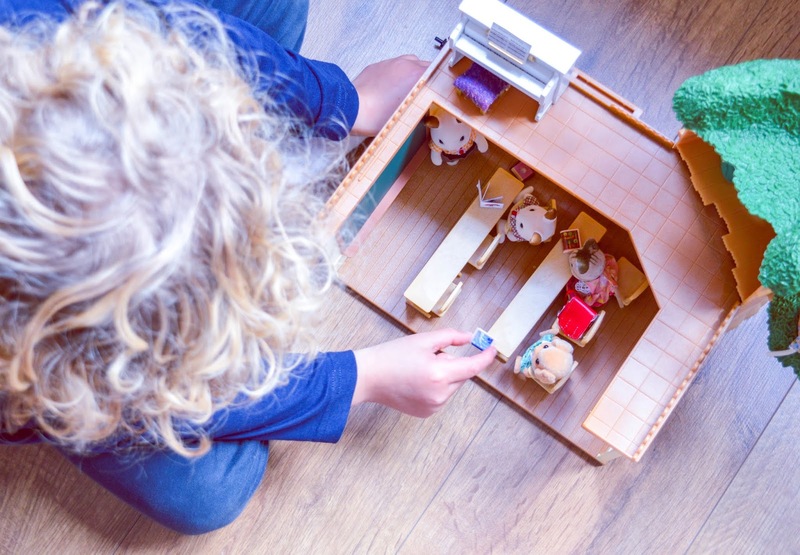 He loves putting together their houses, making little scenarios for them to be in and can spend hours playing imaginatively with these sweet little toys. I think that's why, as a parent, I love them so much too, they really encourage imaginative play and it's so sweet to see your children engage in creating stories for their toys and acting them out. When Tyler began 'big school' last month his collection was added to once more with the very sweet Sylvanian Families Country Tree School (€44.99). He found it such a novelty that the Sylvanian's had a school to go to too and was delighted with this new addition to his Sylvanian town. This is such a lovely little playset, comprising of a main school building with classroom, a treetop observatory for stargazing - complete with little telescope, tree branch for climbing and relaxing on during break time and a whole host of school-themed accessories. 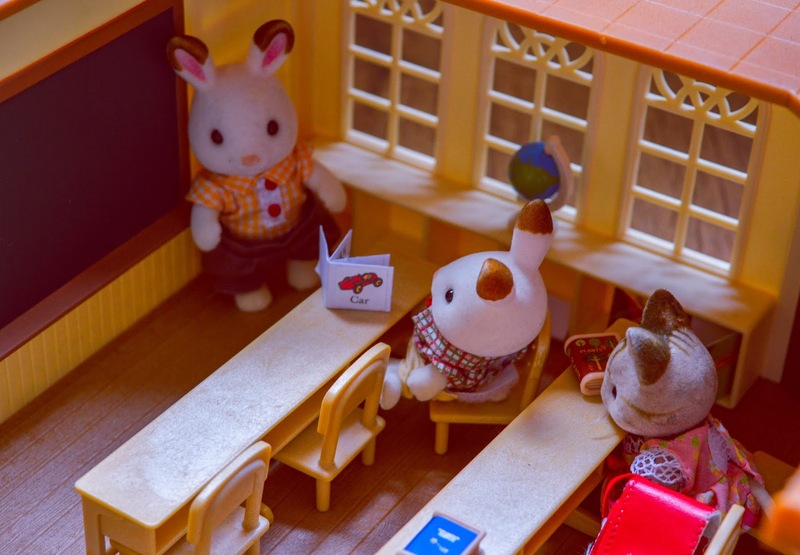 There's space for 6 Sylvanian Family children to learn and the old-fashioned school benches are lovely! The playset comes with books, a globe, a duster for wiping the blackboard and an attendance sheet for the teacher to keep track of who has been at school and these are all lovely little details. 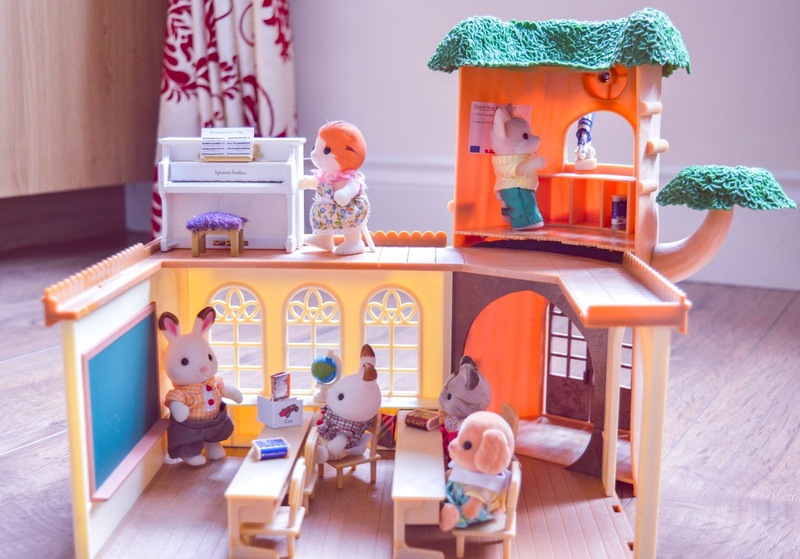 Tyler also put other Sylvanian Families pieces he had that were very fitting for a school too into the Country Tree School, such as the Sylvanian Families piano and little books and a backpack he had from the children's bedroom set. 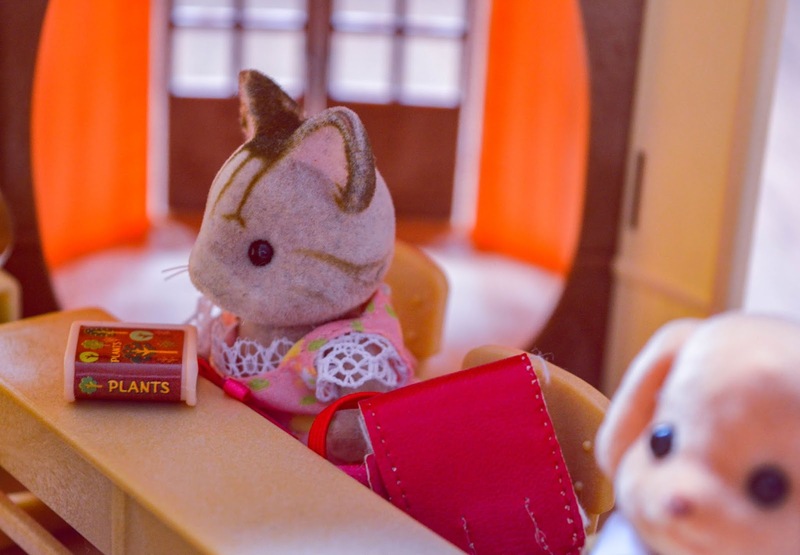 It's a really fun Sylvanian Families set, especially for school-going children. It makes for hours of imaginative play with pretending the Sylvanian Families are in school and Tyler really enjoys playing with it. 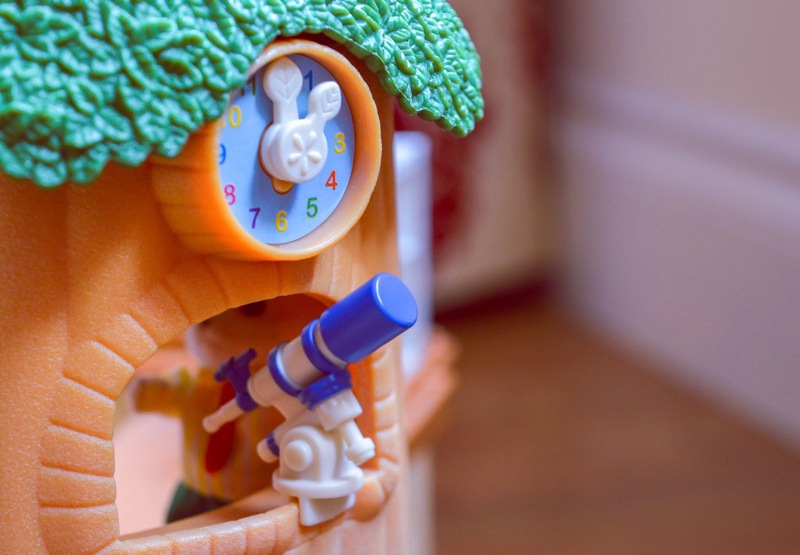 The little details such as the telescope really make it interesting to him - he's big into learning about space at the moment and it's fun for him that the 'families', as he calls them, are able to star-gaze from a tree! 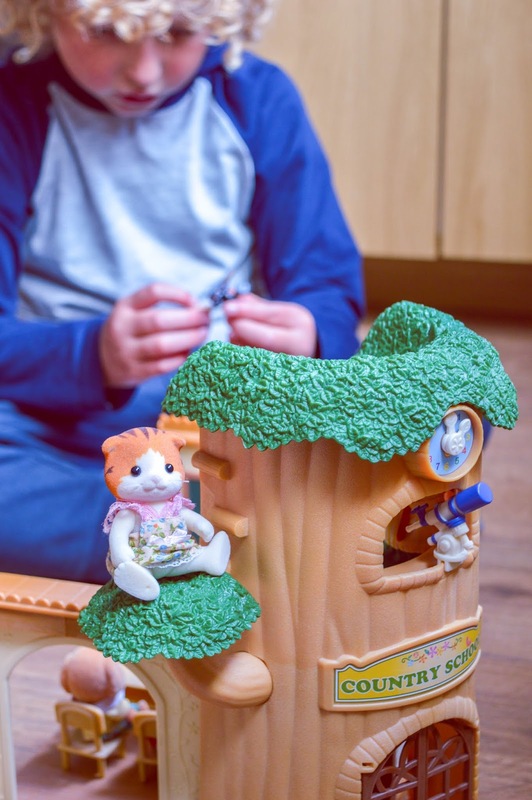 This is such a great little playset and a perfect one if your children are interested in expanding their Sylvanian Families playtime from just the houses alone. Tyler likes the idea of having a Sylvanian Families town - and I don't blame him! Childhood me would have been over the moon to have so many Sylvanian Families, they were all I ever wanted but sadly never had. It's so lovely to see my boy playing with his Sylvanian Families and hearing the little scenarios he comes up with for them. The Country Tree School is a great addition to his collection - it's not too big that it can't be stored in the cupboard and he genuinely loves it.